Award-winning author Jana Richman brings us an emotional journey of love, loss, and family. 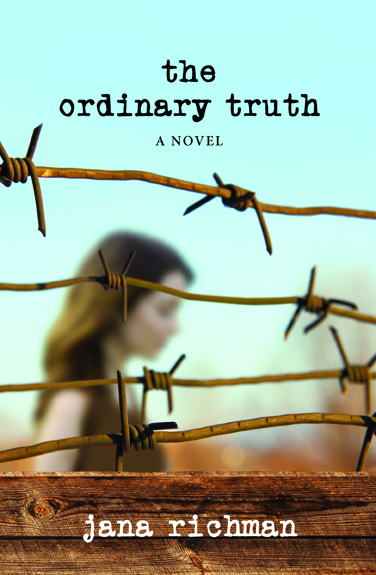 It is not often that a novel of literary fiction incorporates the complexities of a specific, current, and controversial issue, but Jana Richman’s The Ordinary Truth does just that, with astounding insight and a captivating, heartrending narrative. The recently proposed Nevada pipeline, which would pump water from the desert valleys of Eastern Nevada and Western Utah to Las Vegas, is a component of conflict in the novel. For the Jorgenson family and the close-knit Spring Valley community, the pipeline would mean the end of their cherished ranching lifestyles. When Kate Jorgenson becomes a spokesperson for the Southern Nevada Water Authority and defends the creation of the pipeline, her already-damaged relationships with her rancher mother, Nell, and environmentalist daughter, Cassie, seem beyond repair.